In the UK, smartphones are overtaking laptops as the device of choice for conducting internet activities. The same people are spending at least two hours online each day, which is two times longer than the time spent online while using their laptops or PCs. They prefer smartphones due to faster and easier online experiences on the go—an agility that bulkier laptops cannot match. Businesses desiring a strong internet presence should hire a website designer who can make mobile-friendly websites for the new smartphone society in London. Recent studies concur that the UK is becoming a smartphone society. Deloitte studied online behaviours and found that one in three adults checked their phones in the middle of the night, especially their instant messaging and social media accounts. Furthermore, more UK adults watched TV and films online than they did a year ago. According to Ofcom, 33% of internet users perceive their smartphones as more important for surfing the net than their laptops and PCs. In 2014, only 22% preferred their smartphones over their laptops for internet activities. One of the main drivers of growth in smartphone use is the significant improvement in 4G mobile broadband, which offers fast internet services. By the end of 2014, 4G subscriptions jumped from 2.7 million to 23.6 million. The UK’s mobile behaviours also showed a marked increase in online commercial activities and purchases, too. Smartphone users with 4G performed more banking online and watched more TV as well as videos online. They also bought online more than those without 4G. Furthermore, they conducted online research and compared products and services through their smartphones as well. Faster internet speed allowed for greater online research and business transactions, thereby changing how UK consumers selected and paid for products and services. Website designers help businesses maximise the growing dependence on smartphones. They can make mobile-friendly websites that load faster and prove easier to use, thereby enhancing user experience. A user who can easily view a website through his phone is likely to spend more time navigating it than a website that loads slowly or cannot provide an optimised experience. Furthermore, if a user wants to check out products on a company’s website before buying in a retail store, a hassle-free mobile website experience can translate to offline purchases. A mobile-optimised website can then increase both customer views and actual online or offline purchases. In addition, website designers can make mobile applications for these websites so that the content and navigation fit smartphone capacities and features. Google’s interest in and support for mobile-friendly websites likewise highlights the need for developing mobile-optimised online experiences. Google already created a mobile-responsive label for mobile search results in 2014 and rolled out a mobile-friendly algorithm in 2015. It recommends websites to be mobile-responsive or have a separate HTML website for mobile users. Google presently ranks mobile websites, which means mobile-friendly websites are on top of the search results. If Google is already investing in mobile experiences, it means it understands the shift in internet use toward smartphones and other smaller mobile devices. Finally, a mobile-friendly website can make a business stand out among competitors. Right now, many companies do not yet maintain mobile-optimised websites. First movers can enjoy a distinct advantage if they can offer earlier and better user experiences. 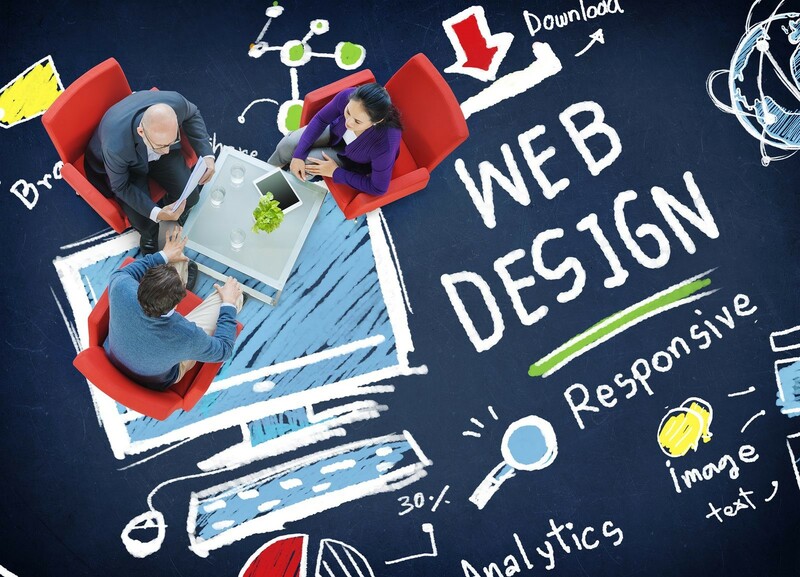 A website designer can develop mobile-responsive websites that offer better user experiences. Furthermore, these positive experiences can result in higher online and/or offline revenues for a business. Businesses should therefore take advantage of operating mobile-friendly websites right away so that they will rank high in Google’s mobile search results while gaining ground on those competitors who do not yet offer mobile-friendly websites.